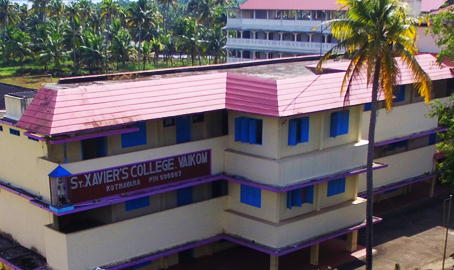 St.Xavier’s College Vaikom, Kothavara, started functioning in 1981. It is owned and managed by St.Xavier’s Church Kothavara. Starting of the college brightened the prospect of higher education in Vaikom Taluk and Slowly a social and cultural evolution started banishing the dark cloud of illiteracy ignorance, superstition etc. The general aim of this college is the integral formation of the human person for the fulfillment of his/her individual responsibilities with sincerity, honesty and maturity . We aim at moulding our students as leaders who are intellectually competent, emotionally balanced, spiritually enlightened, morally upright and psychologically integrated.